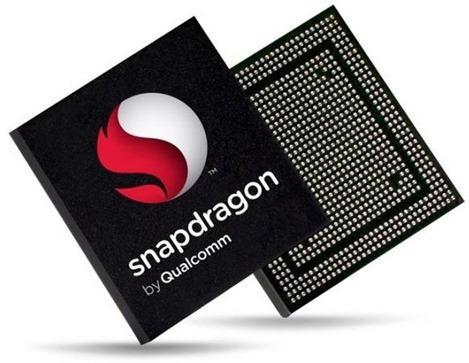 Qualcomm Brings Snapdragon 410 64-bit Chip For Emerging Markets. My Question - Why? 64 bit chipset in mobile is pretty much useless as of now. Even Apple has no use for it even though they have already introduced it to the market. That isn’t to say that the move in itself is a bad one though. Eventually the RAM would increase enough and we would need 64 bit chipset. By that time, Apple would have probably replaced all its models with a 64-bit chipset and would be all set to utilize the boost that this chip provides. A long term planning! When it was actually launched the reactions from Android arena ranged from skepticism to sarcasm to promises. While some companies called it a gimmick, others said that they would bring it soon to their high end phones. The catch here of course is that as of now, Android doesn’t support 64 bit. That might change in the future but until that happen, a 64 bit chip would be completely useless in Android. It would be akin to using a 32 bit Windows in 64 bit chipset. Qualcomm is one of the largest mobile chipset makers in the world and with the launch of 64 bit by Apple; it had no choice but to follow up. Initially it scoffed at the Apple’s attempt and its then Chief Marketing Officer, Anand Chandrashekhar called it nothing more than a gimmick. He said- “I think they are doing a marketing gimmick. There’s a zero benefit a consumer gets from that.” Qualcomm changed the song soon and Anand found himself out of the Qualcomm leadership page. Now, Qualcomm has launched a low end chipset (entry level), Snapdragon 410 with features like support for high speed LTE networks, improved graphics and 64-bit capable mobile chip. This is quite unexpected as Snapdragon 410 is supposed to be for smartphones below the $150 mark. The RAM in this range is pretty feeble and with Android 4.4’s support for 512 MB RAM, the chances of this changing are pretty low. This calls for a question as to what is Qualcomm trying to do here? It is obvious that high end phones will get 64-bit soon. Also, with phones getting RAM in the 3 GB range, the advantages would come to this end by the end of next year perhaps. However, Qualcomm can’t even test the 64-bit chipset in the range where the new chipset is launched. There would be no advantage of any kind. As much as it may sound like an irony, but it really can’t be anything but a gimmick and a poor one at that. As the products using Snapdragon 410 are to reach market by second half next year, we might see a few high end 64 bit phones in Android before that. From India’s perspective this would mean that we might see a few smartphones in the under 15k range next year with 64 bit processors. Who knows, it might be the next year’s selling point for phones. What is your take? "Qualcomm Brings Snapdragon 410 64-bit Chip For Emerging Markets. My Question - Why? ", 5 out of 5 based on 1 ratings.